In a widely expected move, President Barack Obama vetoed legislation that would have repealed most of Obamacare’s mandates and taxes, and defunded Planned Parenthood in favor of other healthcare centers that provide higher levels of health care, but not abortions. According to the Washington Examiner, in vetoing the bill, Obama said since Obamacare took effect, more than 17 million Americans have received health insurance coverage. “Healthcare has changed for the better, setting this country on a smarter, stronger course,” he said. What’s more, he denied Americans a chance at relief from his disastrous healthcare law that – nearly six years later – still remains underwater in public opinion polls. The President’s veto is a reminder that Democrats own Obamacare. They passed it over the objections of the American people without a single Republican vote and continue to place loyalty to this failed law over the loyalty they owe to their constituents who suffer Obamacare’s burdensome costs and consequences. I am pleased that, for the first time in his presidency, conservatives finally made President Obama show his hand, as opposed to the tradition of years past when Harry Reid kept every politically tough decision off the President’s desk. In doing so, we set up an important moment of contrast and proved that President Obama is the one person standing between the dismantling of Obamacare and the restoration of a culture of life. Smith observed the series of undercover videos released last year exposing Planned Parenthood’s apparent practices of harvesting the body parts of aborted babies and selling them on the open market, and altering the positions of babies during abortion in order to harvest intact organs. “We will not be deterred in exposing this Planned Parenthood scandal, no matter how aggressive and misleading the cover-up,” Smith concluded. On Wednesday, Planned Parenthood Action Fund announced the abortion business has endorsed Hillary Clinton for president in 2016. The GOP-led Congress may attempt to override Obama’s veto of the legislation, though Republicans don’t currently have the votes to accomplish an override. 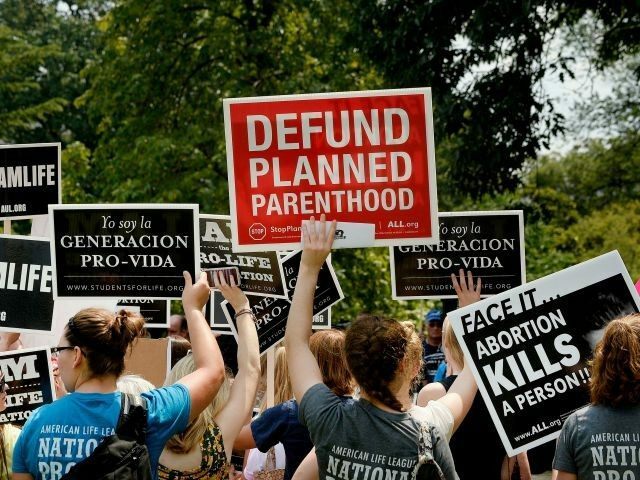 Republican leaders failed to defund Planned Parenthood in the $1.1 trillion omnibus spending bill approved in December for fear of being blamed for a government shutdown. The abortion business’ funding was even increased throughout most of 2016.